KIEV, Ukraine -- Seven years ago, Ukraine’s Orange Revolution inspired hope that the country was moving toward genuine democracy. Since then, democratic freedoms have been curtailed, the former prime minister and co-leader of the revolution, Yulia Tymoshenko, has been imprisoned, and President Viktor Yanukovich’s regime has become internationally isolated. It is difficult to predict how Tymoshenko’s case will play out – whether Yanukovich will succumb to pressure from the European Union and the United States to release her, or to the forces that want to exclude her from politics forever. Until recently, Ukrainian leaders employed more efficient means than prison for dealing with inconvenient opponents. Perhaps Tymoshenko herself did not understand how sharply her country had turned away from democratic norms when she mocked Yanukovich and her opponents during her trial. Perhaps Yanukovich himself did not foresee the consequences of Tymoshenko’s arrest, trial and imprisonment. 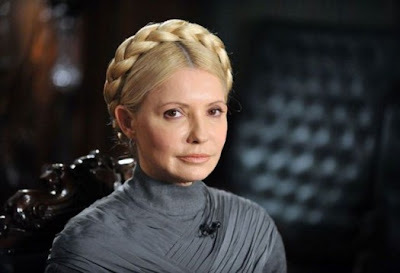 If the EU refuses to sign an association agreement with Ukraine at the upcoming Ukraine-EU summit in Kyiv on Dec. 19 because of Tymoshenko’s imprisonment, the damage to the country will be vast and enduring. But, with every month that Tymoshenko spends in jail – more than three so far – her martyrdom grows, making it harder for Yanukovich to free her. Yanukovich has become hostage to a situation that he created – and thus has done nothing to extricate himself from it. When he was Russian president, Vladimir Putin, put himself in an analogous bind in 2003 with the arrest of the oil oligarch Mikhail Khodorkovsky. Like Yanukovich, Putin is under pressure from the West to release his opponent, but the political risk is too great. Perhaps he simply dislikes the EU because it applauded his defeat in the Orange Revolution, and because he makes embarrassing gaffes whenever he goes to EU countries. Generally, Yanukovich’s foreign policy appears reactive. Yanukovich also undermined Ukraine’s geopolitical strength vis-à-vis Russia by rejecting NATO’s invitation to join in 2010. Even if the Kremlin is not particularly happy with the planned EU-Ukraine association agreement, it has little reason to worry as long as Yanukovich remains a weak president in a divided country. Compared to him, Berlusconi was a shining example of good government. But, as Yanukovich and his backers are well aware, Berlusconi is gone, and Lukashenko is not.